Do you wish to make your content visible to people when they look for your product? Well, for this, you need to take care of the content marketing approach that is being used for your products and services. 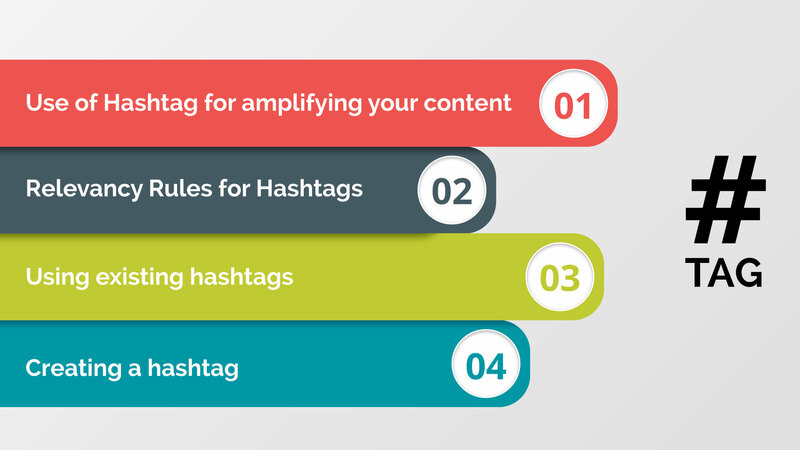 Do you know how the use of hashtags can enhance your content marketing process? Here’s a blog that explores different ways of using hashtags that assist you in driving your content marketing reach. Hashtags are known as content amplifiers which are generally used by people to search information on social channels. That being said, if you tag your content appropriately, an audience would be able to find you in a more easy way. The users, nowadays, wish to find the relevant content as quickly as possible as they don’t want to spend enough time on searching the required information. So, all you need to do is to make your content stand out by following a multifaceted amplification strategy. Using a hashtag with your content signifies that you are fulfilling user’s expectations in terms of content. Failing to meet the user’s expectation might affect your content marketing strategy in the long run. That being said, the users might consider your content as ‘spam’. All you need to do is to identify a number of relevant options and choose the hashtag that is popular enough to amplify your content. Remember, the most popular hashtags will give you more competition in terms of drawing the attention of your potential customers. So, it would be better to go with the one that is not so popular and can make your content visible when searched. To start with, you must begin by looking for the existing hashtags that overlap your content. If you find some, you can make use of them to join ongoing conversations which would make your content reach your audience. Look for hashtags that are in trend or gaining popularity gradually. Experiment with the trending hashtags and this might draw the attention of users towards your content. If you need to use a hashtag for an event, you can create new hashtags. Moreover, the hashtags can also be created for the brands that have enough resources to sustain the new hashtag. All in all, hashtags help you amplify your content only when used correctly. Mamsys, a digital marketing company, use appropriate strategies to apply hashtags for your content. So, use this valuable tool, and make your content reach your potential consumers. Related: How The Heck To Use A HASHTAG?